Reminiscent of New York’s iconic Guggenheim Museum, the new $50 million Vibe Hotel at Canberra Airport has been the talk of the capital since it opened in early November. 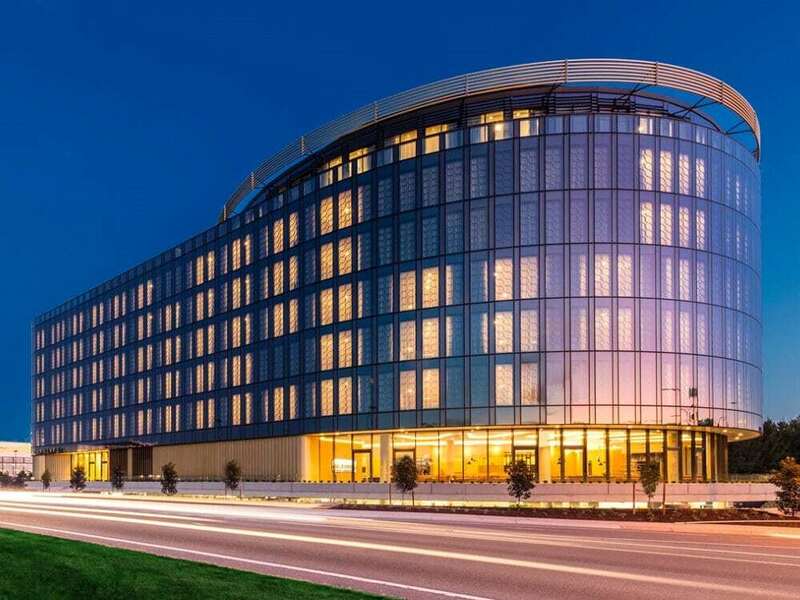 Designed by award-winning architects Bates Smart (perhaps known best for Federation Square in Melbourne), the new Vibe Hotel at the Canberra Airport is just metres from the terminal and offers 191 guest rooms across its seven floors. While its circular form naturally lends to comparisons with Frank Lloyd Wright’s New York masterpiece, the Guggenheim, the hotel’s design and room categories also take their cues from the aviation industry. It features a full height atrium that soars above the hotel’s public spaces including lobby, restaurant and bar, while the business traveler’s experience is enhanced by creative hubs and a conference facility catering for up to 140 guests. The hotel was developed by Canberra Airport in partnership with Toga Far East Hotels (TFE Hotels) under the Vibe hotel brand, and was built by local building contractor Construction Control. Construction commenced in May 2014. Mechanical services design was completed by Norman Disney & Young (NDY), with local firm Benmax Group engaged as mechanical services contractor. The hotel’s central heating – critical during Canberra’s cold winters – is achieved by two floor-standing condensing hot water heaters supplied by Automatic Heating. The Moorea condensing hot water heaters were selected for their compact design, reliability and cost-effectiveness and have a combined system capacity of 300kW. These units represent the latest evolution of mid-range output condensing boilers, with their smaller footprint, improved modulation range and reduced operating noise making them a popular choice. 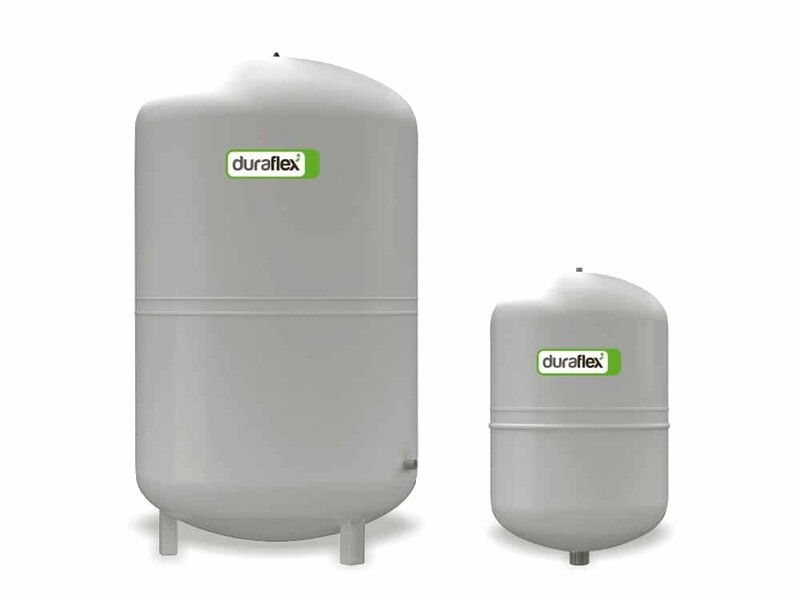 Additionally, Automatic Heating has supplied a Duraflex Forte expansion tank, specifically designed for closed circuit, heating hot water (up to 70°C) applications such as that serving the Vibe Hotel Canberra Airport. 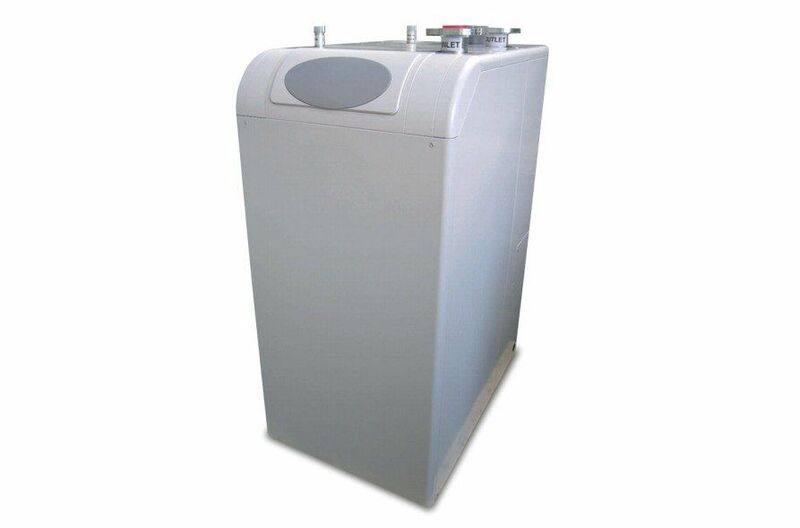 Moorea Condensing Hot Water Heaters are available for both indoor and outdoor installation. Operating at an efficiency of up to 95%, they represent that latest evolution in mid-range capacity condensing boilers, and are available as 125kW units to 600kW with the option of cascading several units together if required. Available for both natural gas or LPG (liquid petroleum gas) fuels, the Moorea offer an improved modulation range of 1:6.25, reduced operating noise and a small footprint making them ideal for compact plantrooms.